An $800,000 grant from the Walmart Foundation to the University of Georgia New Materials Institute will help researchers understand how multilayer plastic packaging biodegrades and also help manufacturers in their attempts to design and select more sustainable materials. 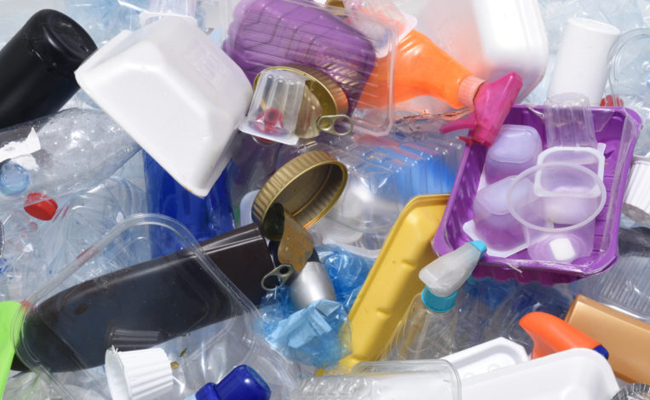 The research funded by the grant will seek to yield both upstream and downstream solutions aimed at reducing the buildup of plastic packaging in the environment. Multilayer packaging protects nearly half of the food produced from spoiling before it can be eaten. This complex packaging is also extremely difficult material to recover and recycle, said Locklin. Currently, when two or more types of plastic are bound together to create this flexible packaging, the composite film either does not biodegrade or it biodegrades at a rate too slow to meet certification requirements that allow the manufacturer to claim its film will biodegrade; these requirements vary by country. There are numerous microbial environments in which plastic packaging—when comprised of the right materials—could fully biodegrade, including landfills, municipal waste water treatment plants and industrial composting facilities. The research team will examine packaging biodegradability in all of these settings and propose new testing standards that governments and certification laboratories can adopt so that all flexible plastic packaging is subjected to rigorous, standard testing protocols. The team will also conduct a nationwide assessment of existing waste management infrastructure to determine the most advantageous means of managing waste, including the proximity of composting, recycling and other waste processing facilities to the communities they serve. As part of this assessment, the team will also consider whether additional infrastructure may be needed as new types of materials produced to replace conventional plastics begin to make their way into these waste and recycling streams. The other principal investigators on the project are Jenna Jambeck, who leads the institute’s Center for Circular Materials Management, and Evan White, an assistant research scientist. Jambeck is an associate professor in the College of Engineering. Locklin is a professor of chemistry and biochemical engineering who is jointly appointed to the Franklin College of Arts and Sciences department of chemistryand the College of Engineering. The UGA New Materials Institute is committed to preventing waste through the design of materials and systems that adhere to Green Engineering principles. The institute partners with industry and businesses to design materials for their use that are bio-based, fully biodegradable, or completely recyclable, and safe for people, animals and our planet. In addition, it works with businesses, governments, foundations and other organizations to redesign systems so that they generate less waste and promote circularity in materials management. The New Materials Institute is also shaping the future by training the next generation of scientists and engineers on the importance of considering Green Engineering design principles in everything they do. For more information, visit www.newmaterials.uga.edu.